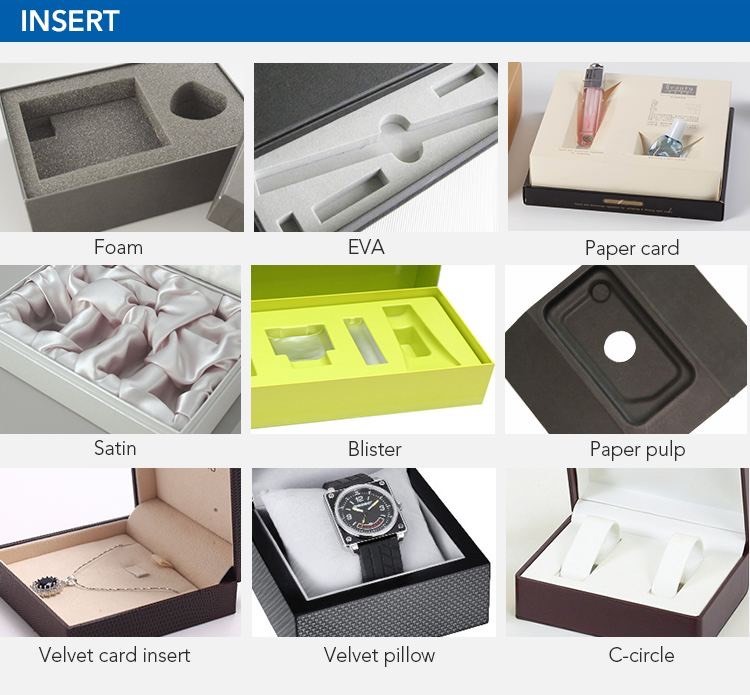 These materials can be used as surface of the plain jewelry box. The picture below is the embedded form of the LOGO on the plain jewelry box. 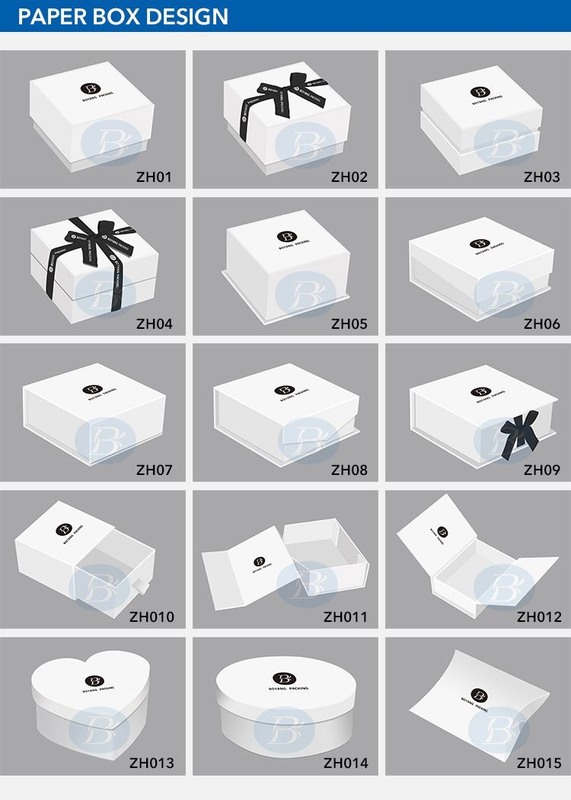 According to your requirement, plain jewelry box have many different lining styles. 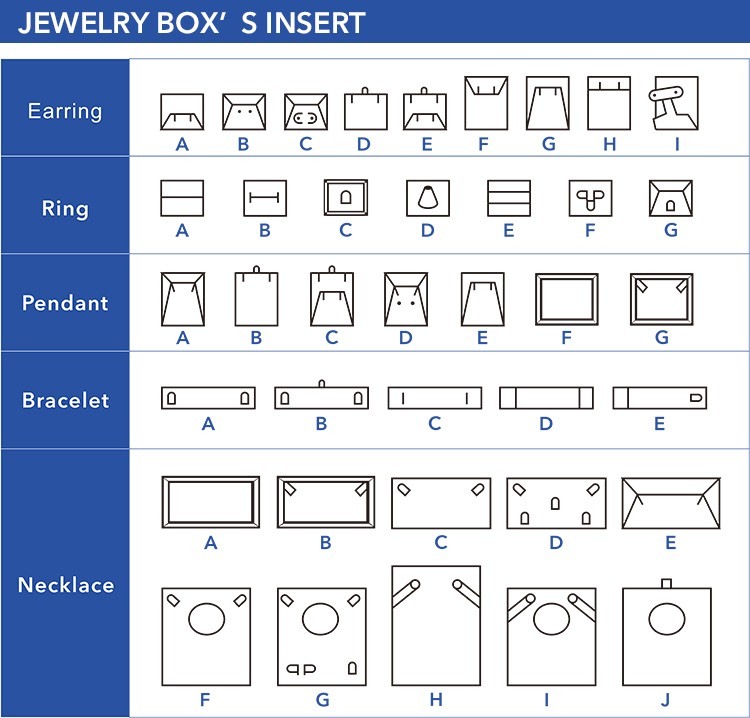 You can choose one accessory or multiple accessories for the plain jewelry box. 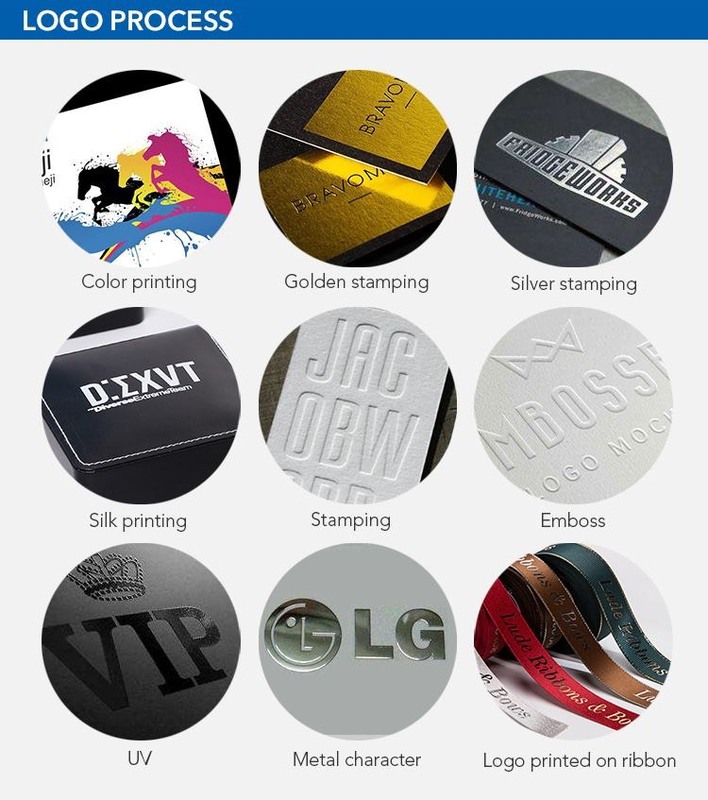 All our products are designed and manufactured according to customer requirements.We generally do not provide stock. Q2: Are you a manufacture? 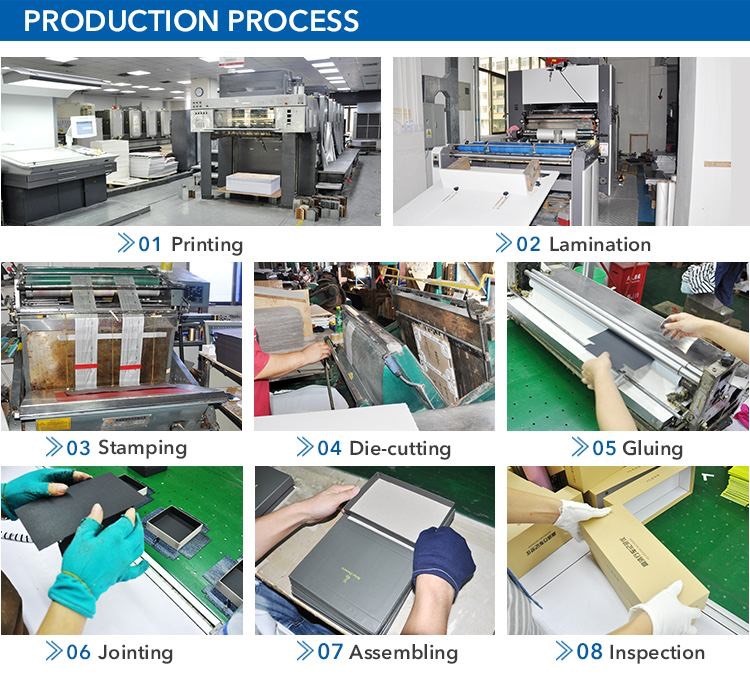 Yes, we have our own factory, since 2002 We have being committed to providing professional solutions in the packaging and printing industry. 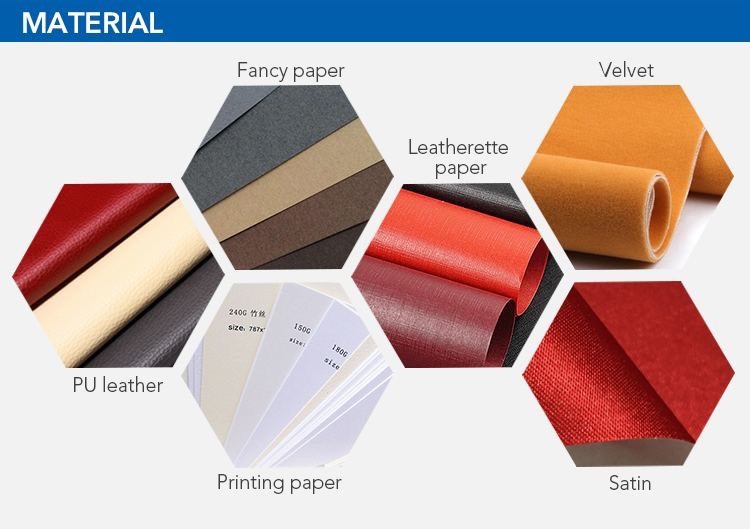 As a general rule our MOQ is 5000pcs.Of course, your order can be less than 5000. but a small order, the product cost could be very high, because we have to take into account the copy, print, mold and set the cost. 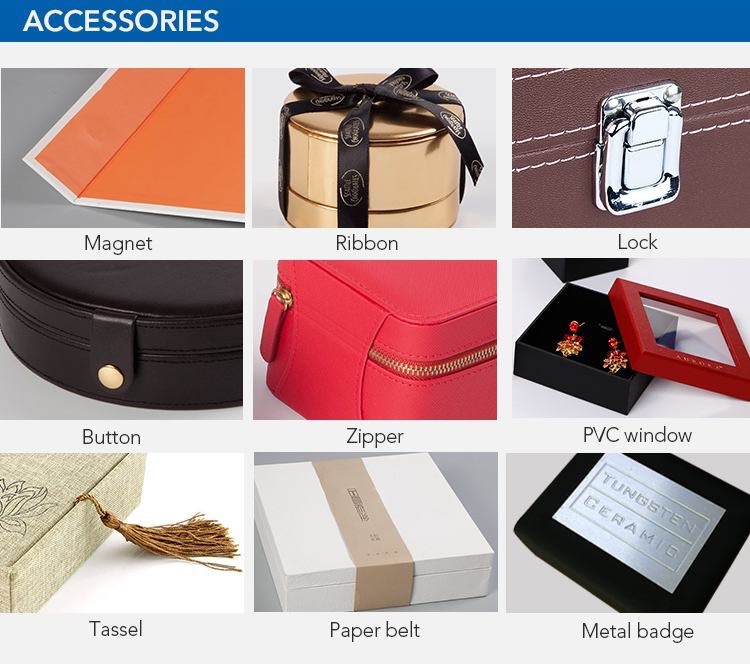 5) You can provide pictures or designs of the products to us. We can make samples for you to check. Of course, if not, we will recommend details of the product for your reference.